Whether Maduro recognized by the President of Venezuela will stand, whether it will not stand is a question that will not be decided in our Kremlin, or even in Washington, in fact, but in the streets of Caracas. Yes, we see the intervention of the United States and other external players in the results of the presidential election, not some kind of invented “cyber intervention”, but the real, direct, “meat”, down to earth. Are we worried about the situation in Venezuela, given that Russia credited Maduro, that Rosneft is producing there and investing in the country’s oil sector. Of course, as a contributor, we are concerned about what is going on in this not very stable bank. However, China is even more concerned: we were not the main pillar of President Maduro. Are there any fault of the Venezuelan government and President Maduro in the mass impoverishment, rabid inflation, hopelessness that covered the country, or can all the problems be “hung” on external pressure, sanctions and so on: of course, this fault exists and it determines all current events; Of course, we cannot assume that the Washington obkom is to blame for everything – the Venezuelan government is economically inept and ruining its country, hungry people who take to the streets have the right to protest. But as far as possible it is necessary to abide by the law. It is necessary to prevent military intervention, it is necessary to prevent bloodshed and lawlessness. But I would like to speculate not about who is to blame and what’s next: it will all be chewed many times or clarified in the coming hours and days. And not even about what we need to do: I think it’s just that in no case can we “crowded, equestrian and armed” get into the Venezuelan crisis, on the curves of the Favell streets of Caracas. Important lessons. What exactly Russia and Russian companies have done not to gain access to Venezuelan oil and arms supply contracts, but to insure their risks. Not the support of the opposition, which destroys the trust of a profitable partner, not an attempt to manipulate the elites, because it makes you a hostage of the internal political context – which was done by Russian organizations, companies, representatives so that the people of Venezuela are the same favella, the same military, teachers, doctors , engineers, peasants – identified with us, experienced human sympathy and gratitude for us. Sorry for the low genre of “rhetorical questioning” – but where exactly are Russian schools and vaccination points, wells and filter stations, generators that give light to rural hospitals, where Venezuelan non-governmental organizations that receive environmental protection projects support, as many places in Russian universities on quotas received by students from the country? I will answer: they are not present or are disappearing a little. I will be given examples of exhibitions and concerts, tours of orchestras, ensembles, artists, and so on. They are needed, of course. But whether such projects solve the earthly tasks of mass solidarization and lobbying – no, they do not. Again and again, with the persistence of an idiot greedy to feed, we were engaged in buying up elites, not paying attention to the fact that they could disappear / change / change orientation, our companies bought basketball clubs, rode on private jets, organized parties and rode generals on yachts and their children, took on work / feed relatives of ministers in the staff of missions and joint projects, our companies traditionally, with a truly classic capitalist cynicism and disregard, referred to the “masses” in favor of the “elites”. Whatever elites may be, they can secure contracts, and in this sense even buying off elites may be useful, but concentrating on such policies cannot reduce the critical risks in the event of major shocks. Such risks can reduce the positive reputation that is formed in the mass media on the street. This is not “subversive work” or “support for the opposition” – by no means, since there is no such goal, this is insurance. Simple as mooing example: when you build a wooden cottage, you buy a fire extinguisher there. You can donate something valuable to the local district or municipal head, this can be useful. But it is the fire extinguisher that will save you from the fire. I remember well a conversation with a high representative of a very large Russian company that conducts a very big business in Venezuela: “Dear friend,” I said, “let’s launch inexpensive and effective projects in the country, medical care, the fight against illiteracy and disease. For you it is not a charity, but an investment, an investment. It will pay off by the fact that you will have constant support “on the ground”, regardless of who will sit in the government, what he will say and whom to be guided. ” “Why,” the high representative replied to me (he answered a little more rudely, but I am not offended, he is a good person, actually), “we bought a basketball club there, we are flying there soon, you know what cocktails we are making on the plane. I will only emphasize that such humanitarian work, it is sometimes called “promoting international development” (IDA), is not at all a charity. No need to compare this with what the Soviet Union was doing at the time, which took off its last shirt; such humanitarian “earthly” projects in any way and do not “take away” from poor Russian regions – villages and cities – because they pay off, this is an investment, an investment. How it is built in our country at the state level, and not at the corporate level: this is done by the Ministry of Finance, not Rossotrudnichestvo (although it should be according to the “CMP Concept”) – and about a billion dollars are spent per year. Billion! Well, let’s leave out the amount of this amount in the conditions of unresolved difficult domestic problems, since we agree to consider this not as an irrevocable charity, but as an investment in the loyalty and consolidation of our interests (including the interests of companies). But even so it does not work: almost all of these funds are spent on financing UN agencies, international organizations and projects, and not bilateral projects — Russia-Venezuela — such a minority. This suits the Ministry of Finance, as it is easier to report and do not have to worry about efficiency calculations, it warms bureaucratic ambition from meetings at the governing boards in New York and Geneva. But this does not correspond to our state interests, is inefficient economically and is the most stupid and senseless waste of money that can be imagined in the field of humanitarian cooperation. I would add: and didn’t we profukali Ukraine, and there, too, putting on the feeding of fat cats loaves and gas discounts, which never reached ordinary Ukrainians? And is it necessary to list many other countries that are much closer to us than Venezuela? 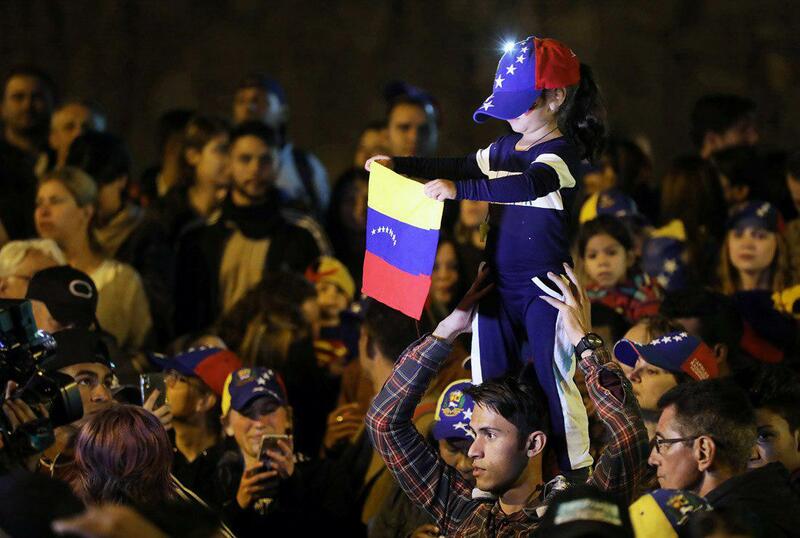 Venezuela is just now entering the door, through which many have already passed. To summarize. It is a pity that Russia as a state and Russian companies, using the example of Venezuela, once again showed that they are not able to effectively secure their interests, to secure them through the tools of humanitarian cooperation and so-called “soft power”. Even military aid, weapons, aircraft landing or military bases cannot provide Russia with mass support from the population of the countries in which we are interested. But we are still doing critically little or practically nothing so that the population of the same Venezuela, even after a change in the political “elite”, would like to say to the “elite” of the new one. But you cannot touch Russia, it must remain. The fact that Russia needs to be moved from other sectors of the economy that are profitable to us, from the same Washington, will not sound compelling objections from society: Venezuelans on the streets (on both sides of the barricades, by the way) do not give a damn what cocktails you made to yourself on the plane and how many suitcases money donated to people in good suits.